While we may enjoy giving and receiving Gifts Cards, it may happen that an unwanted Brand or stores Gift Card gets forgotten in some corner of the room or gets misplaced. Some Gift Cards can be useful and some not so much! If you have a Gift Card that has not much use for you, just login to www.Sellebrate.in and Sell it. Yes, now you can Sell or Exchange your unwanted Gift Cards online! You will receive cash in your Paytm wallet after selling your Gift Card, which you can use to purchase a different Gift Card for your next trip, movie etc. Sellebrate.in allows you to Sell and Buy Gift Cards online in a very convenient process. The Paytm wallet credit has no restrictions and can be transferred to your bank account as per Paytm policy or used to pay bills and merchants online on the paytm platform. Sellebrate helps you to buy Gifts Cards from 7 different product categories i.e., Food, Fashion, Travel, Movie, Beauty, Electronics and Kids. Let me explain in detail! Let’s assume your friend gifted you a Gift Card for INR 1,000 for an apparel store which is at an inconvenient mall. You really wanted to buy a mobile phone sitting at home ! 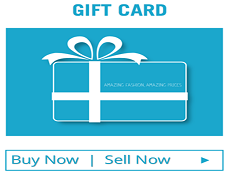 What you can now do is sell the Apparels Gift Card on www.sellebrate.in and purchase an Amazon Gift Card from Sellebrate.in for your smartphone purchase. The process is fairly simple. Sellebrate the joy of using Gift Cards – Register now to get INR 200 and refer your friend to get INR 50 in your Sellebrate wallet. These are Reward wallet credits and can be used as per the sites T&Cs. Also, let us know your thoughts about this idea of Gift Card exchange and Sellebrate website by following us and using our hashtag #AbSirfCard on Facebook, Instagram and Twitter.